INTTRA, the electronic container shipping platform, is to launch a pilot rates management scheme in the second half of this year as part of a raft of initiatives to improve container shipping efficiency. Senior INTTRA executives declined to say how many firms or which companies will take part in the pilot saying details would be released later. Inna Kuznetsova, INTTRA president and chief operating officer, said it wanted to wait until all the carriers and freight forwarders involved were ready to take part before confirming the participants. “The number will be in double digits,” said John Fay, INTTRA chief executive. “We hope that by the fourth quarter it goes from pilot into a product. We have already done proof of concept using real rates and transactions,” Fay added. 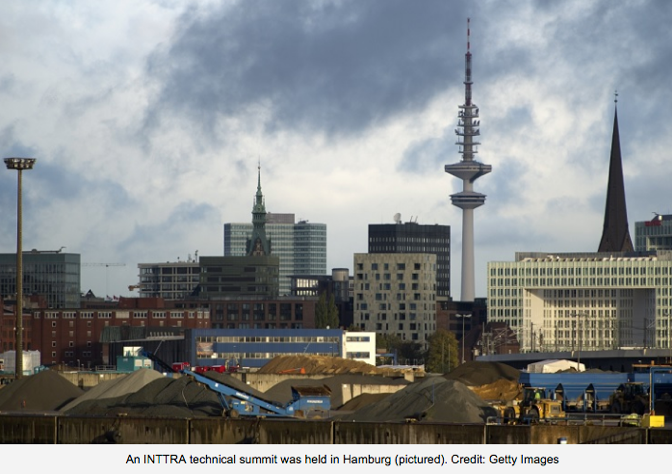 Rates management was among the key issues facing carriers and freight forwarders highlighted in a technical summit held by INTTRA in Hamburg on April 24 which attracted more than 130 people. “We want to be the rates network in the same way we are the booking network. We aspire to be a rates hub,” Fay said. INTTRA processed 43 million containers last year, up 12.8% from 2016 while annual volumes have been growing by around 13%, Fay said. The firm handles 26% of global container movements and tracks 46% of movements. INTTRA, which is 51% held by private equity company major ABS Capital Partners while other shareholders include Maersk, CMA CGM and MSC, has 60 carriers and 29,000 shippers as users. Other planned initiatives is a product for shippers to secure bookings on liner services to prevent cargo rolling. Freight forwarders and carriers will each pay a deposit to guarantee both cargo and ship space. The system will be based on the cargo trucking technology developed by Avantida, the company INTTRA bought last year to prevent cargo rolling.